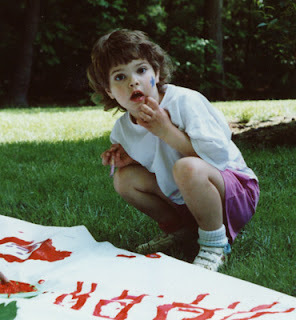 OK, we are diving deep into flea market craft territory here, but I can't help it. If you're like me, you probably have a large collection of oversized t-shirts, because no one ever orders enough of the right sizes! When my kids worked at our local grocery store, one of them brought home this beauty...in a 2XL. No one was ever going to wear it, so it went into The Pile. You know, the pile of mis-fit shirts, not to be confused with the Island of Mis-fit Toys. These shirts never got a musical written about them. My mother-in-law reminded us of the super-simple project where you turn your unwanted t-shirts into shopping bags. 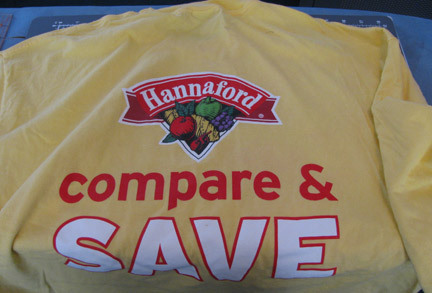 Since this is a grocery shirt, it seemed particularly appropriate! And super easy. 1. 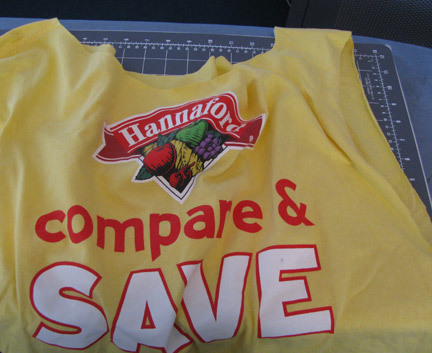 Cut off the sleeves of an old t-shirt. 2. 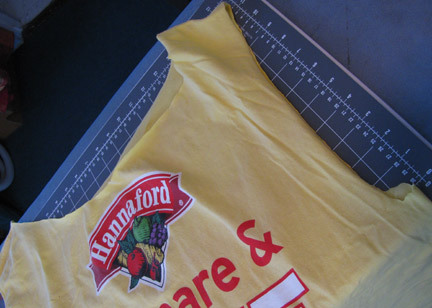 Leaving at least 3 inches for a "handle", cut off the neck band in a scoop shape. Try to preserve the shirt decorations! 3. 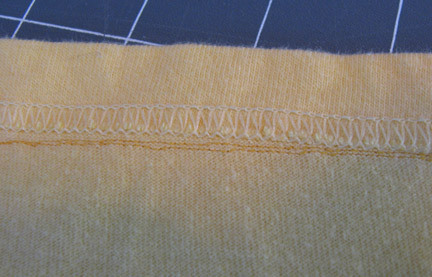 Turn the shirt inside out and stitch up the bottom, going over it at least twice. 4. Optional: stitch along the raw edges at the neck and arms. I didn't bother. Making a shopping bag from an old t-shirt has been on my to-do list for months, Cyndi. I have drawers full of them from when the-bigger-the-better was in style. How cute to use one with a grocery store motif. Just perfect!